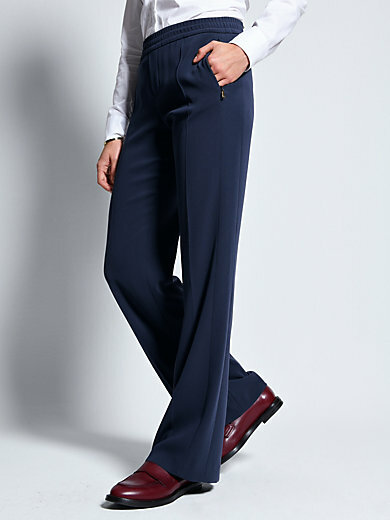 Trousers by BOGNER: modern and comfortable! New style to slip on with wide legs, a wide elasticated waist and 2 zipped seam pockets with gold-coloured "B" zippers. 69% triacetate, 31% polyester. Inside leg length approx. 86cm/34ins. Ankle width approx. 54cm/22ins. The trousers are machine washable.